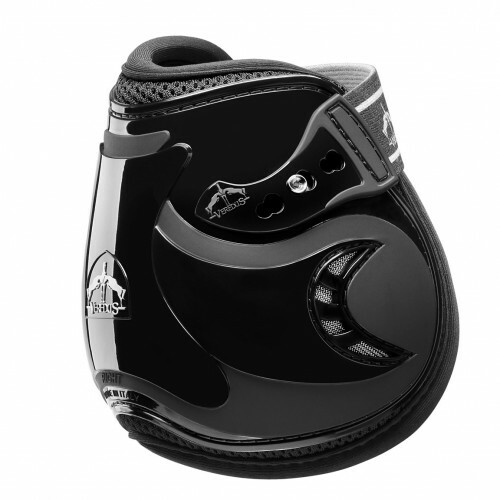 Functional fetlock boot that helps improve hind end performance. 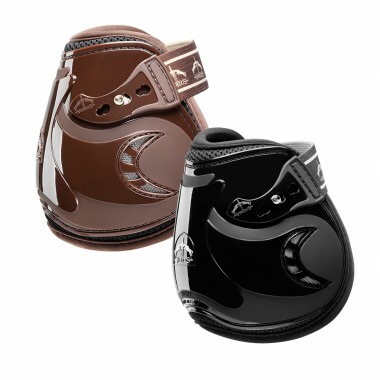 Double Ventilation System releases heat build-up by channeling the heat away from the horse's leg. 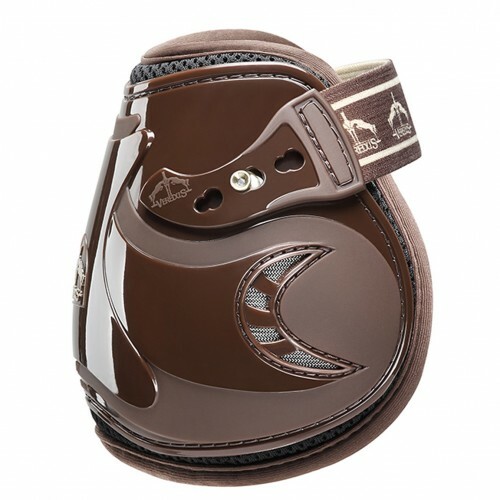 • Semi Rigid-PU™- Anatomic dual density shell provides the highest level of protection while allowing for freedom of movement and providing maximum support and ultimate comfort. • AEROX®-Vented neoprene lining provides the highest level of ventilation. • 3D Ducted Mesh™: Channels heat away. • AquaShell™-Provides waterproof protection and will not absorb moisture. • EZCare™- Easily hand washable in cold water.